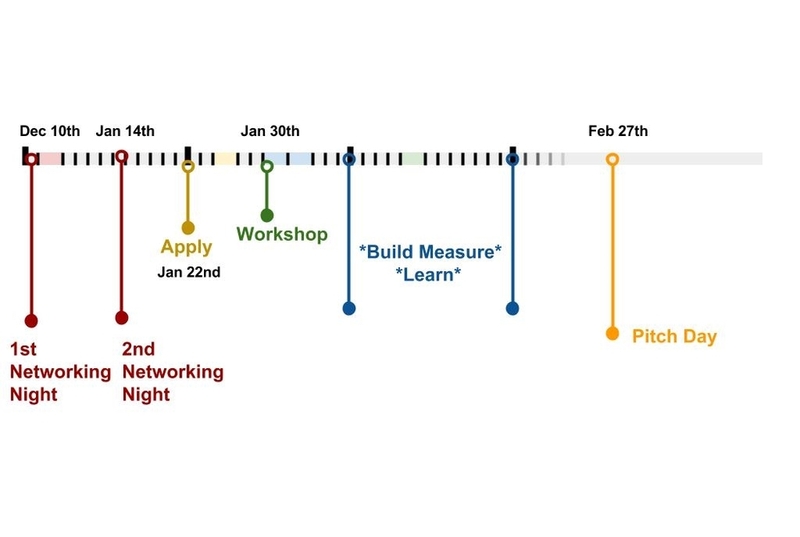 The Lean Startup Challenge provides an exciting opportunity to put modern entrepreneurship principles into action and experience life as a startup. Brought to you by Era Innovation (formerly Vulture Street), a leading Australian innovation consultancy and the University of Queensland Business School, the Challenge aims to provide a practical learning experience for participants as well as contributing to the growth and vibrancy of the startup community in Queensland. The competition is open to all who would like to experience building a startup, have an idea they would like to develop or are just interested in learning how the Dropbox, Instagram and Airbnb’s of the world were created. Participating teams require at least one University of Queensland MBA student or alumni member with a maximum of 6 team members. Learning - the number of customer interviews conducted; hypotheses tested; the quality and efficacy of experiments run. Commercial - judged on the level of investment appeal. Applications can also be summarised in a brief Powerpoint, Keynote, Presi or Youtube presentation. Applications close January 22nd, selected participants will be notified by January 25th. "Lean Startup" is a system for developing a business in the most efficient way possible to reduce the risk of failure. It is an approach for launching businesses, products or services that treats all ideas as assumptions (or hypotheses) that must be validated by rapid experimentation in the marketplace. Drawing heavily on agile development processes, the approach relies on scientific experimentation, iterative product releases, and customer feedback to generate validated learning. Similar to the precepts of lean management, lean startup philosophy seeks to eliminate waste and increase value producing practices during the development phase so that startups increase their chances of success without requiring large amounts of outside funding, elaborate business plans or the perfect product. While these tools have been honed in the startup world, they are just as applicable in big business - are we developing things the customer needs, are we creating value and can we minimise risk? Using new ideas to create or improve products, services or business models applies to everyone, so even if you aren’t planning on taking the entrepreneurial path we welcome and encourage your participation. Business plan competition – Business plan competitions look at startups as mini big corporations, which a startup is not, because a big corporation is about executing a business model. This competition is about searching for new, customer validated, business models. Hackathon – We believe hackathons are a great way to learn how to code, but this is not a tech startup competition. The competition is open to all product and service ideas from any any industry, including social entrepreneurship ideas. A pitch for funding - This competition is an opportunity to learn entrepreneurial skills, test ideas and identify whether a viable business model exists. The winners will be judged on what they learned, how they tested their assumptions and the evidence presented to support this. If subsequently you decide to progress your business development and seek funding we can assist with this.